The last few weeks we have focused more on finishing projects than shopping for new pieces. This week we finally got lots of shopping in and bought lots of great pieces. 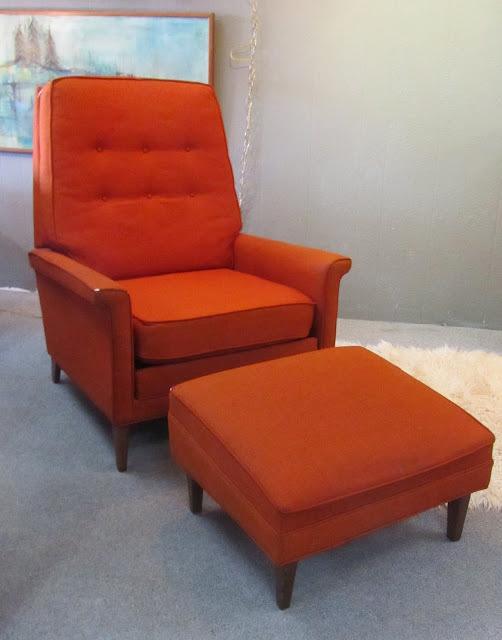 Mid century recliner & ottoman by Selig. 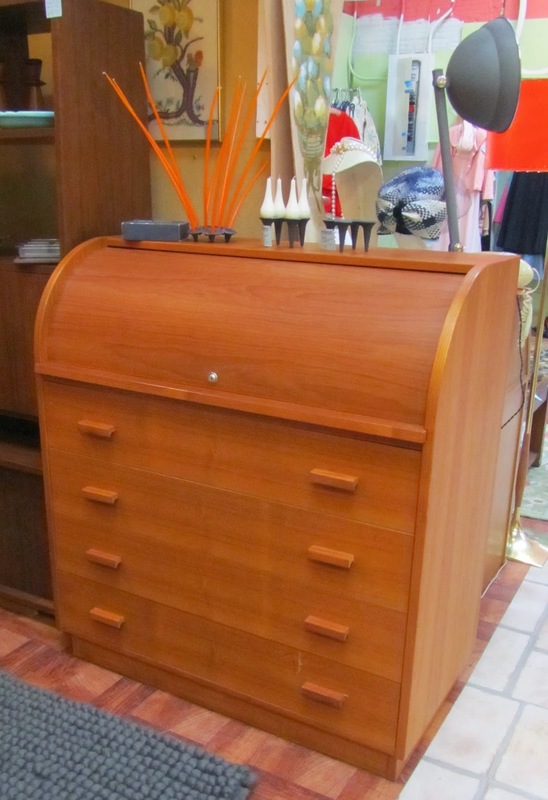 SOLD at Hawthorne Vintage. 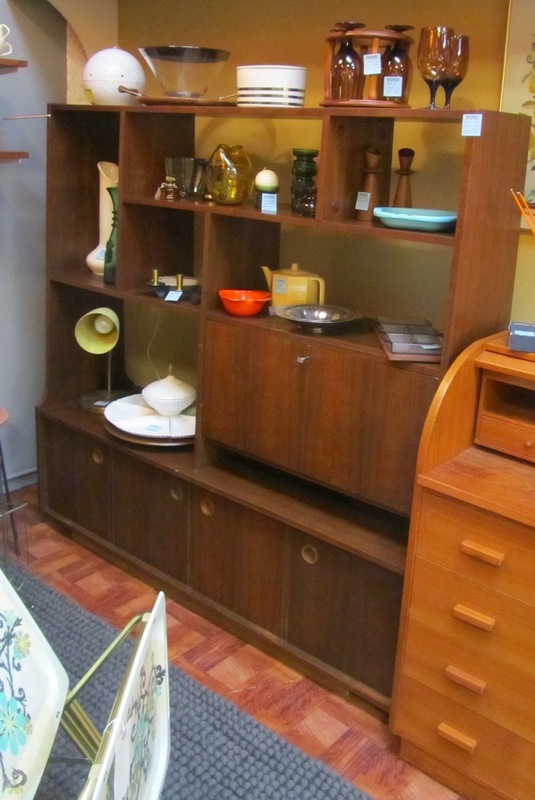 Walnut room divider storage unit. This piece is great for displaying all of the smalls in your space. Very comfortable vintage sofa. Sold. We bought many more pieces than our pictured. The rest of the pieces will be shown in our next post. Love the orange you chose for the Selig recliner and ottoman! And the room divider is classic. Your shop must be an adventure for mid-century modern enthusiasts. Love the floating bed frame. Thanks for hosting Mid Century Mondays. 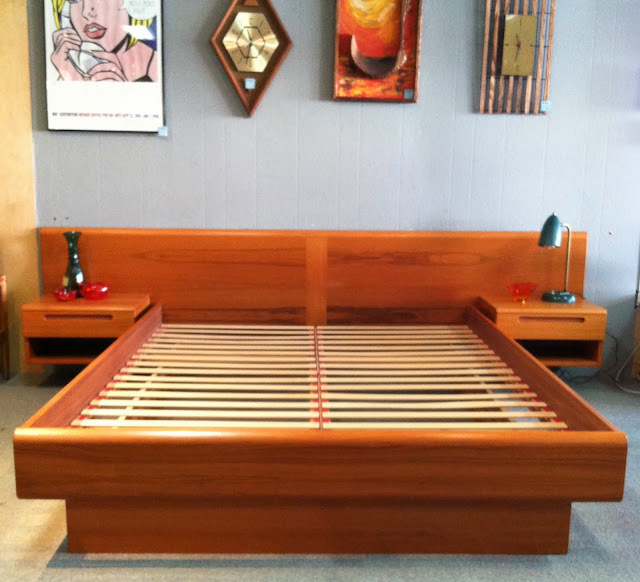 I've wanted one of those bed frames since I first learned they existed. 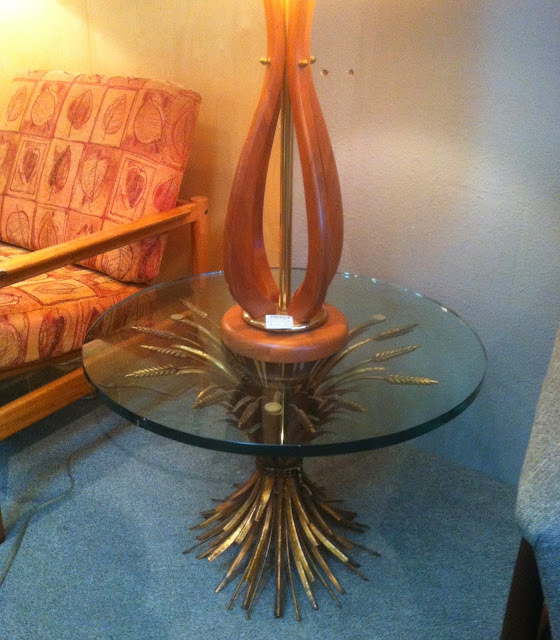 And I love the brass table! What a cool find!